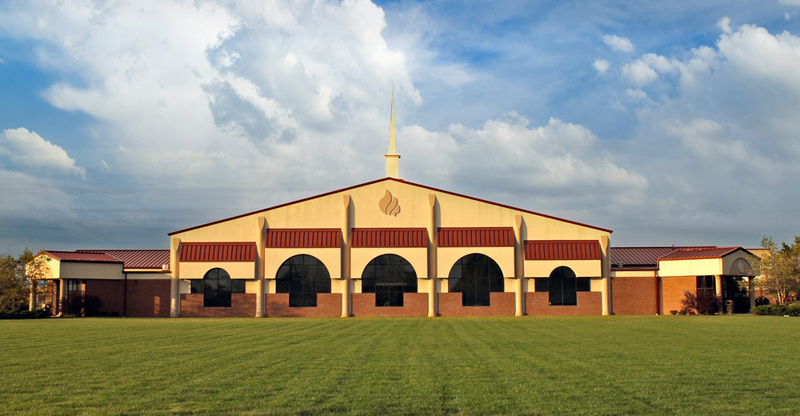 Summary Info extracted from the First Church website. 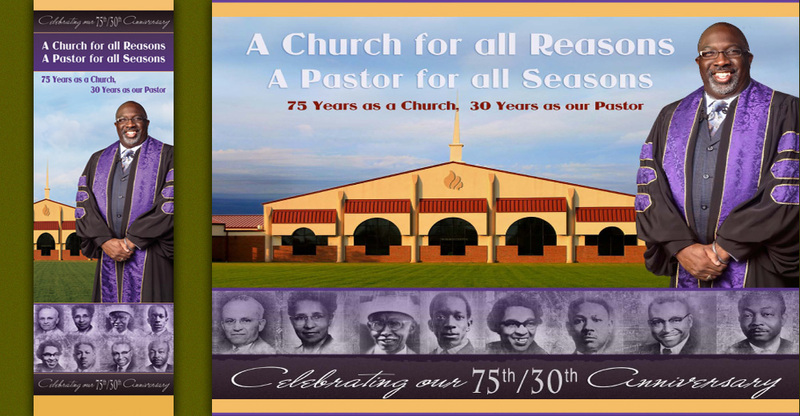 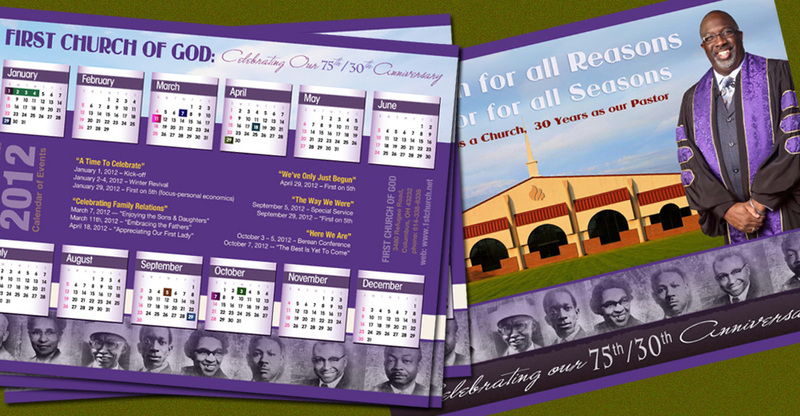 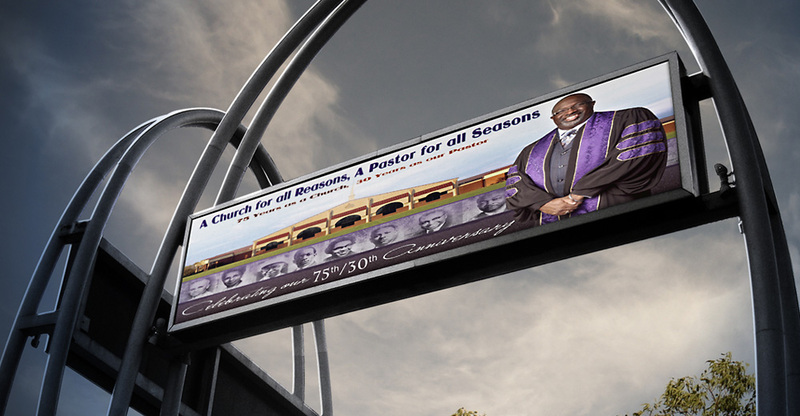 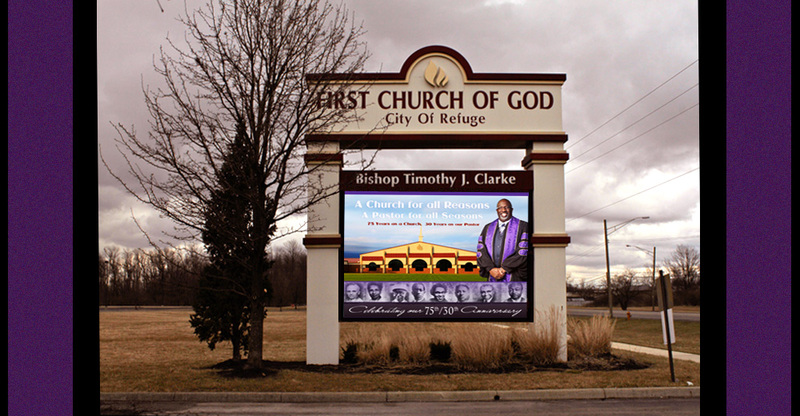 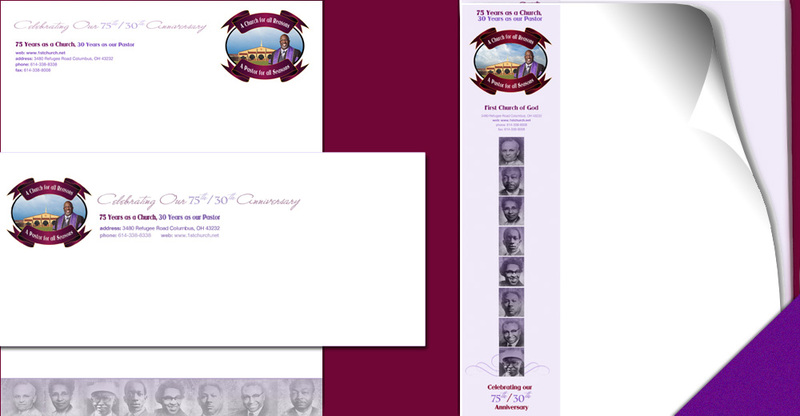 Event Branding celebrating The First Church of God's 75/30th Anniversary: 75 Years as a Church with 30 years under the guidance ofthe visionary leader and Senior Pastor Bishop Timothy J. Clark. 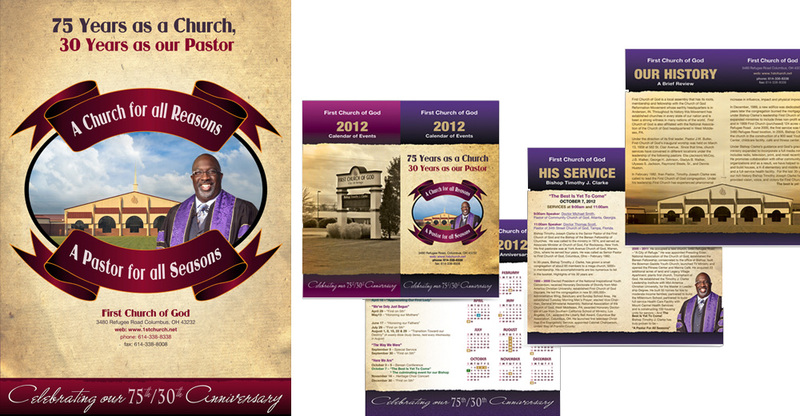 A Logo design was created, to reflect a historically strong, modern and jubilant church celebration. 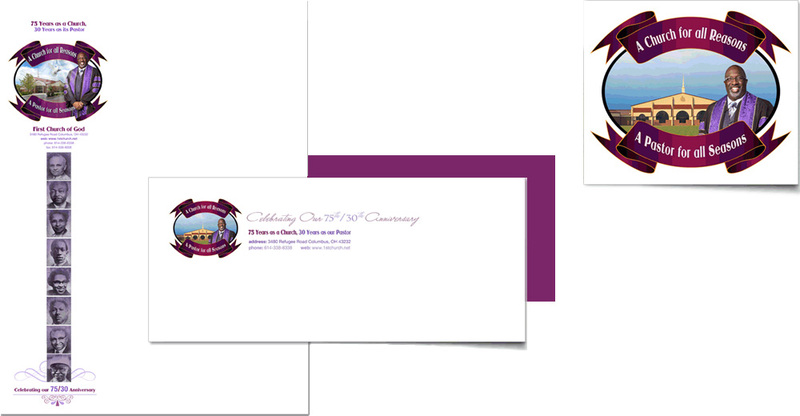 A Corporate Branding package comprising: Business Stationery (Letterhead and Envelopes), and Calendars were put together. 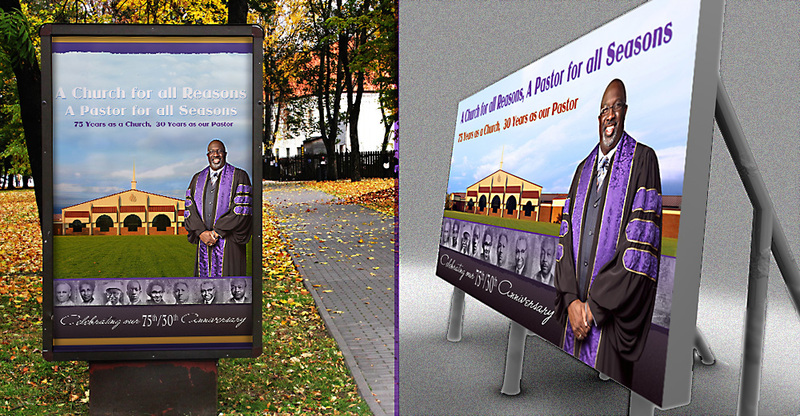 Marketing Materials including a promotional Programs, Indoor and Outdoor Banners, Digital Billboard and Stickers were created.